You may need to merge smaller PDF files into a large file. If a large team works on a document which needs to be merged into a single PDF then you need to use the PDF Merge tool which is meant to merge the PDF files. The tools allow merging image files too. The merge tool is available as an online tool or a downloadable software which can run on multiple platforms. We review the best PDF Merge software available in the industry to make your job of choosing a software easier. It is an online tool to merge PDF files. It is very easy to use and free. 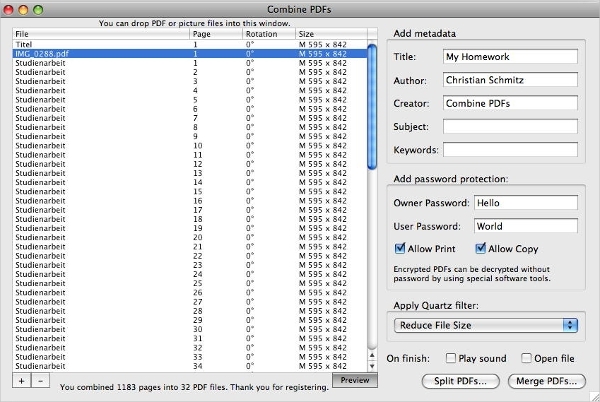 The interface allows you to choose a number of PDF files and then merge them into a single file. You can merge larger files if we use the java version of the software, in fact, it does not have a size limit for the file. It is an online tool to merge multiple PDF files into a single PDF file. It has a very simple browser based interface. You can drag and drop the files in the order you need to merge. It also integrates with Dropbox and Google Drive that is you can choose the files from the cloud storage. 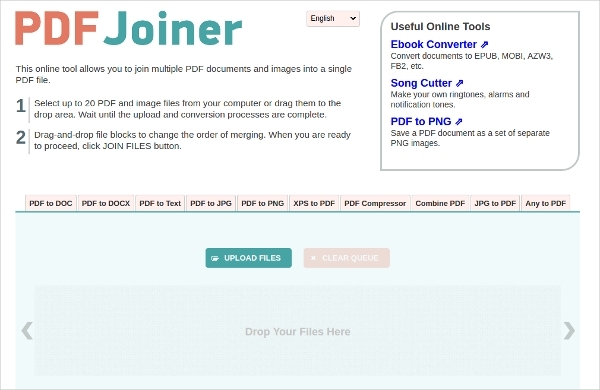 This online tool allows merging multiple PDF files and images to a single PDF file. You can select up to 20 Files, drag and drop them into the text box. You have to wait for file upload and the processing to be complete. You can change the order for the files by rearranging them and then converting the same. We saw PDF Merge work as an online tool. If we need to merge a large number of files then it is better to use the tool on our own computer then the cloud. In such a case we need to run the software on other platforms like Windows, Linux, and Mac. The software is an open source software which runs on the Windows platform. The tool is free of cost. 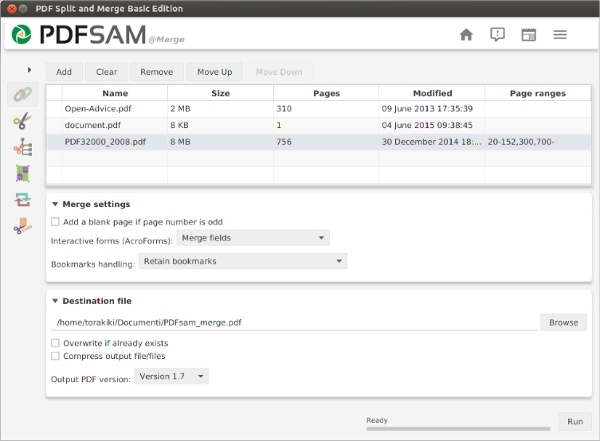 You can download on your desktop to help you with PDF Merge. The software has a simple graphical interface as well as a command line and web interface. You can use anyone as per your convenience. PDF Merge works on the mobile phones which have the Android operating system. It has an intuitive interface which allows you to drag the files to the interface and merge it in no time. There is no limit on the number of files you can merge. There is no limit on the file size created. A Mac-based PDF combine software created by a German newsgroup. A very nice interface which allows you to drop PDF files and images into it. You can then reorder as per your needs. You can add certain text as per your need and a combined PDF file will be created. A-PDF is a PDF tool which works lightning fast on the desktop. It has the ability to combine a number of smaller PDF file or images to one single file. The software works with password protected files. There is a module to convert Office documents to PDF. You can append pages to an existing PDF document easily. How to Install PDF Merge Software? The PDF Merge software is a small piece of software. We can download the executable file from the website. Once you download the executable file you can double click the program and it starts the installation and setup process. It will ask a few questions which need to be answered properly with care. Once you answer it will install the application. You can launch the application and check whether all the major functions are working. If you want to combine images and PDF to a single PDF file then use one of the tools which are mentioned above. You will be able to merge the file without any difficulties using the software. The tool is available as an online tool or on the device of your choice.